Dimensions 1.15 by 9 by 11.71 in. 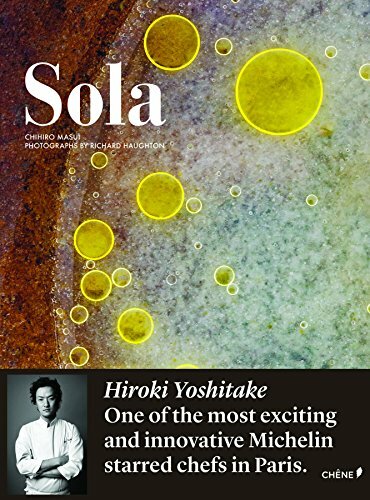 Hiroki Yoshitake: one of the most talented Michelin Starred Chefs in Paris, designated as the best chef under 35 years old in Japan. He worked for three years at the French restaurant La Rochelle in Sakai (Japan). In 2009 he moved to Paris and worked for the trendiest kitchens at that time: Ze Kitchen Galerie, Magnolias and L'Astrance. He was then appointed Head Chef at Sola when the restaurant opened in 2010. In 2012 he received his first Michelin Star. Yoshitake's delectable Franco-Japanese recipes are presented season by season in this beautiful book..